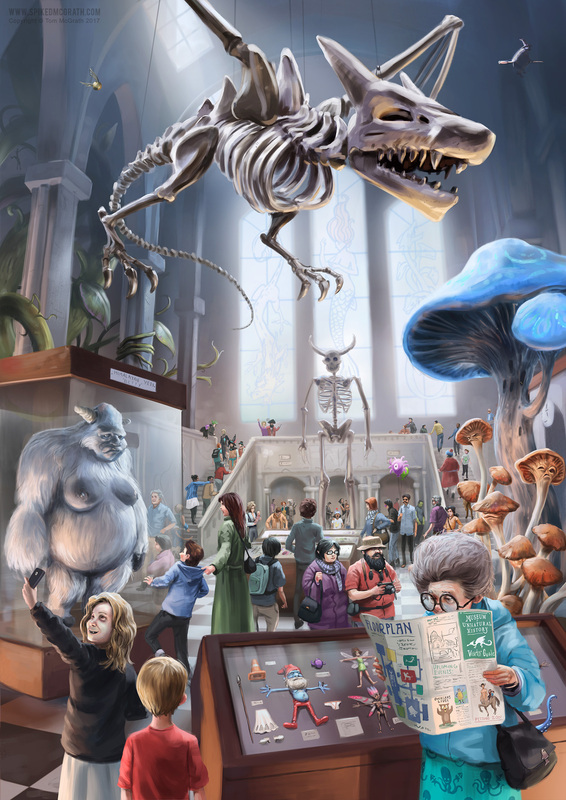 Today Mum made us go to the museum of unnatural history. It was so lAME. She KNEW I was gonna go shopping with Chloe, but she just HAD to drag us out to some stupid old museum. It smelt of old people and was all boring. They had this big dragon skeleton in the main hall and everyone was like “wooow” staring up at it as if they were catching flies with their mouths. But I wasn’t bothered cause I know that it’s only a cast anyway, cause real dragon bones are too valuable to be out like that. Morons. We were there allllllll afternoon. Like 45 minutes. No phone signal. Nothing. Couldn’t even Snapface Chloe to see what she was doing. It’s just not fair. Mum knows I’m scared of owlbears, and she still made us go! Josh liked it, and that just makes it worse. He was all like “Oh, Katie look at this fat Yetti, it looks like you”. Mum never even told him off. She’s always loved him more. I got an ice lolly though that was good.